On Wednesday 7th June we had our KS1 and KS2 sports day. The sun came out for us and the children were fantastic! Everyone got involved, cheering on their teams and trying their best in each of the races. In Reception, Years 1 and 2 Blue House were awarded the most points and in Years 3, 4, 5 and 6 it was Yellow House. Overall, once all of the scores were collected, it was Blue House who won this year’s St Nic’s Sports Day! Well done to everyone involved. Thank you to all of the families and carers who attended to make this a great day. Woopa (Y6), Moussa (Y6), Babacar (Y5), Shaun (Y5), Sabu (Y6), Praise (Y5), Noad (Y5), Delvontae (Y6), Ta’Ziah (Y5). 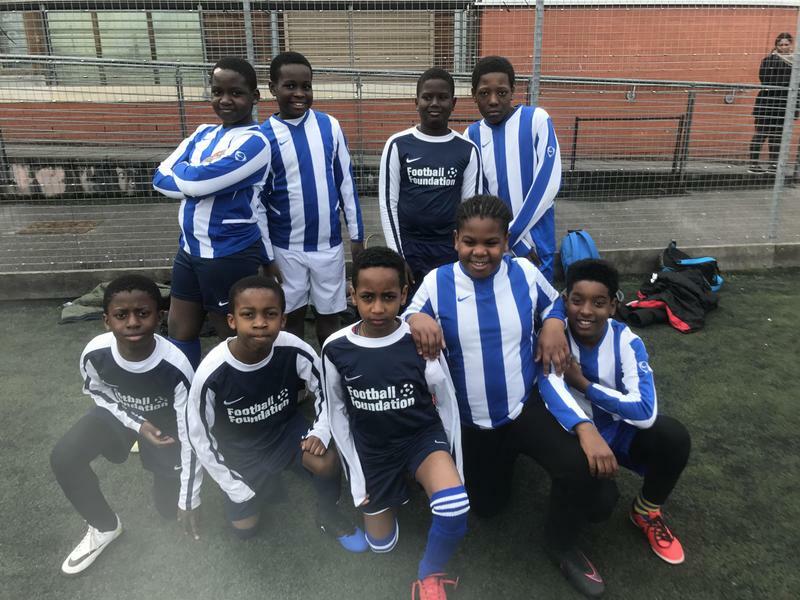 Our team recently competed in the level one competition held at City Academy. They had been spending many weeks training for this which resulted in some fabulous football skills on the day. There were 16 schools put into different groups. We managed to win two games, draw one game and lose one game so we came second in our group! Congratulations to all that played in the tournament. They showed determination and fantastic team work. Well done! The idea of this competition is give children who do not always play football a chance to compete with children from a different area of Bristol. We have been paired with Fair Furlong Primary School and have been training together for many weeks. The two schools join together for the tournament in June. Sabu (Y6), Delvontae (Y6), Aaliyah (Y5), Daniel (Y6), Harleigh (Y5), Amari (Y5), Woopa (Y6) , Babacar (Y5), Shayeli (Y5). This tournament runs over many fixtures with the different schools in our local area. We are training for the upcoming Quad Kids Level 1 competition at City Academy! Each week our gymnastics team travel to Hawks gymnasium and receive coaching from gymnastic coaches. 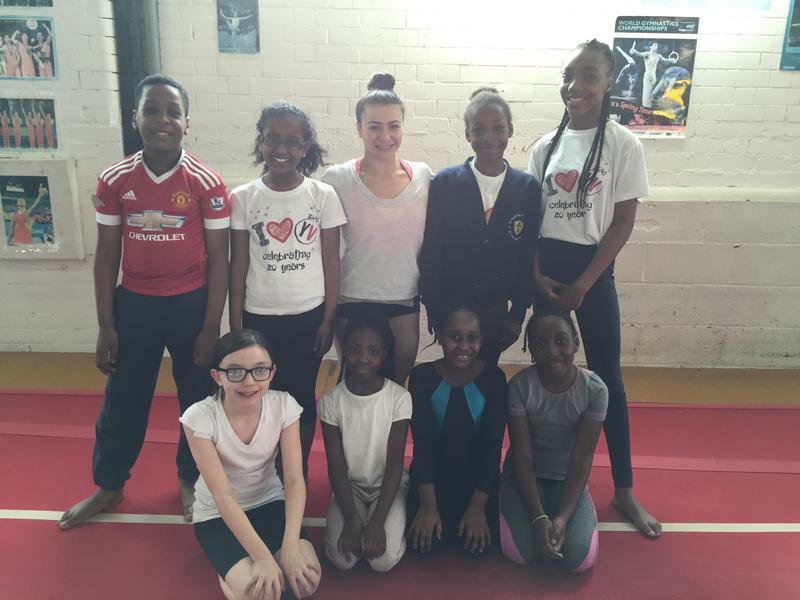 Last week we were lucky enough to witness Claudia Fragapane, a Bristol representative of England who has won 4 gold medals, train and practice. She was kind enough to have a picture with our aspiring gymnasts. 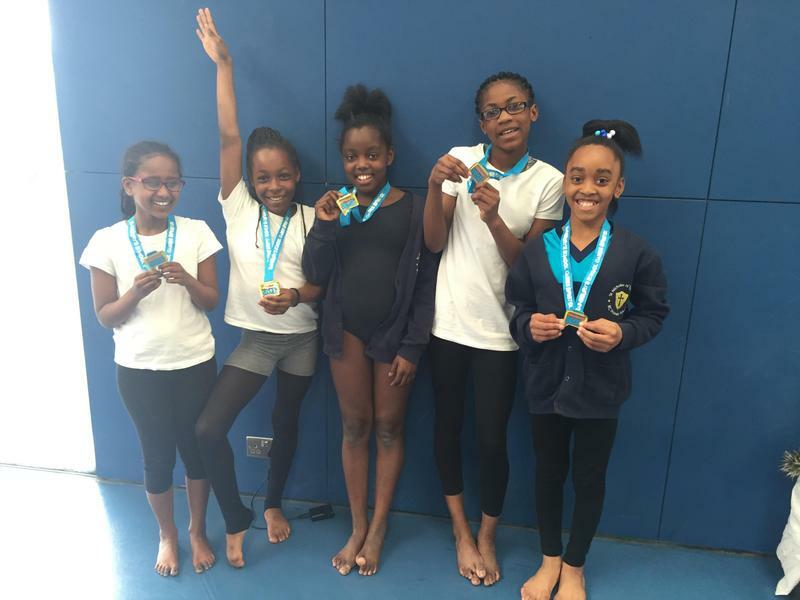 Congratulations to some of our gymnastics team on winning Gold in the level 1 competition. They each worked hard to learn their floor routine and perfect their volt. We will be going to the Level 3 competitions held at Bath University in July.